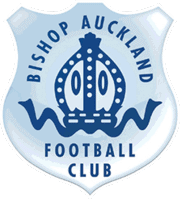 The Directors of Bishop Auckland Football Club are pleased to welcome Steve Coulthard on to the Board. Steve’s connection to the Club goes back 45 years when he captained the Club’s Junior team and then following his 18th birthday he spent a couple of years with the senior team before moving on to Evenwood Town and subsequently Cockfield. Steve is a well-known local businessman running his own businesses ‘Coulthards Motor Factors’ and ‘Bishop Auckland Tyres n Tests’ employing 20 people. Steve has been involved with Bishop Auckland St Mary’s Juniors, one of the region’s most successful community football groups, for 18 years being Chairman for the last 3 years. Last year Steve’s Under 17 team won the Russel Foster Under 17 1st Division, unbeaten throughout the season as well as winning the League Cup. This season his team moves up to the Under 18 Premier Division playing on Sunday’s.